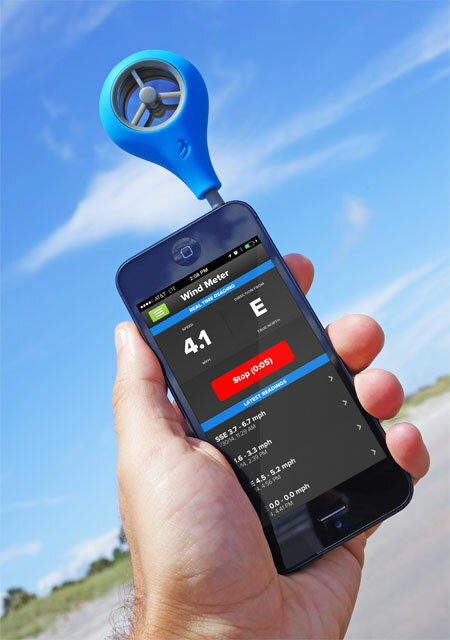 Check out the WeatherFlow Wind Meter, an anemometer for your iPhone or Android device. Stick it in your iPhone, point it into the wind, and get real-time local windspeed and directional measurements. According to the company, it's accurate to the larger of +/- 0.5% of the reading or 0.2 mph at up to 15° off-axis, and it reads in meters/second, miles/hour, knots, kilometers/hour, or the beaufort scale. For information junkies, you can also have your app report its findings to other users and see data from other users, too. It's priced at US$34.95, and it's available now. Yay science!